This entry was posted on July 20, 2010 by FS Photography. It was filed under Clones, Creations, Editing, Friends, Manipulation, Mini Me, People, Photo Editing, Photography, Photoshop, Portrait, Portraits, Portraiture, Processed Images, Self Portraits and was tagged with Clone, Clone Duo, Clones, Duo, FS Photography, Funky Slug, Mini Clone, Mini Me. Thanks so much DC… They’re real fun to do.. Ha!!!!!! Love this! You are so clever! Where do you get your ideas? For a minute I thought I was on the wrong blog then realised my grasp of reality had been given a jolt! Great idea – and it works too! Which blog did I think I was visiting? Have a look at this guy’s blog – maybe it’ll give you further ideas…! LOL.. “No bodies buried beneath the tumbling piles”.. Yeah I see what you mean.. Thanks Val.. I love the further play on Amber’s shot. Nice. that is so funny and so creative too, cool shot. Love it! 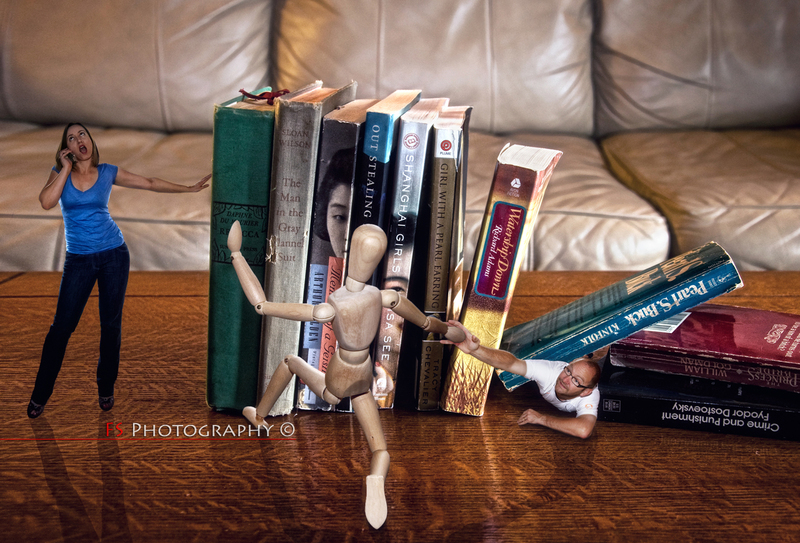 Now I’m trying to think of something to put on my coffee table… Wish I had a mini-friend to collaborate with! You guys are doing a great job. Haha… Cheers AC… Yeah, it wasn’t quite as easy as I originally thought it was going to be trying to get my shot… or maybe I’m just getting old(er)… lol..